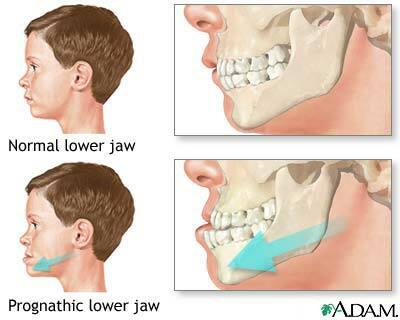 Prognathism is a descriptive term for a jaw (lower or upper) that protrudes forward beyond the plane of the face. Reviewed By: Michael Kapner, DDS, general and aesthetic dentistry, Norwalk Medical Center, Norwalk, CT. Review provided by VeriMed Healthcare Network. Also reviewed by David Zieve, MD, MHA, Isla Ogilvie, PhD, and the A.D.A.M.